Ease of use is clearly what Ivation was going after when they decided to go ahead with producing the Ivation Electric Countertop Food Dehydrator. 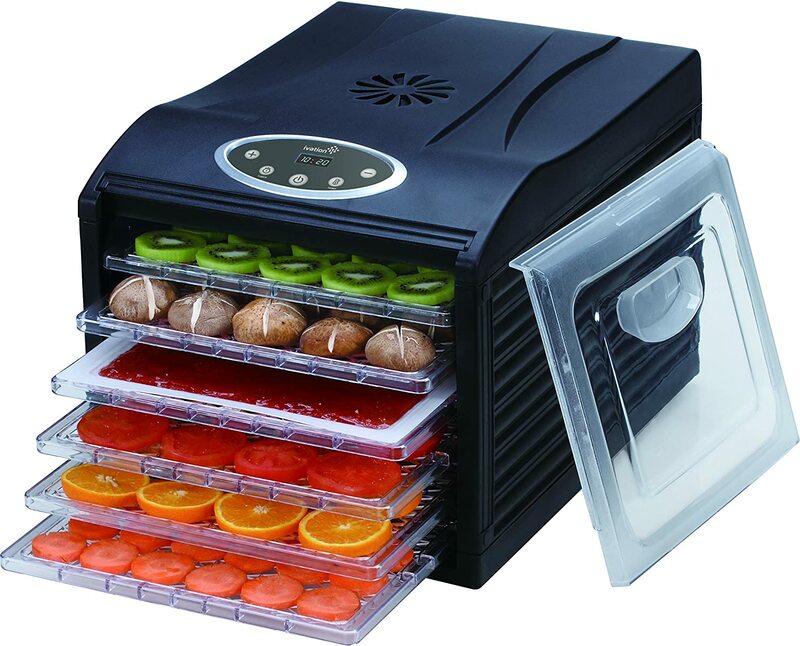 Other various dehydrators on the marketplace offer difficult and confusing settings that make something that should be simple, really difficult. Ivation went down to the customer and broke down what needed to happen in terms of dehydration, and how to best service the customer in the easiest way possible. Ivation’s Electric Countertop Food Dehydrator features a rear mounted fan that is designed to create an even drying service without overheating. The unit features an adjustable thermostat with an automatic shutoff that helps to ensure foods are dehydrated to their optimal crispiness and temperature. 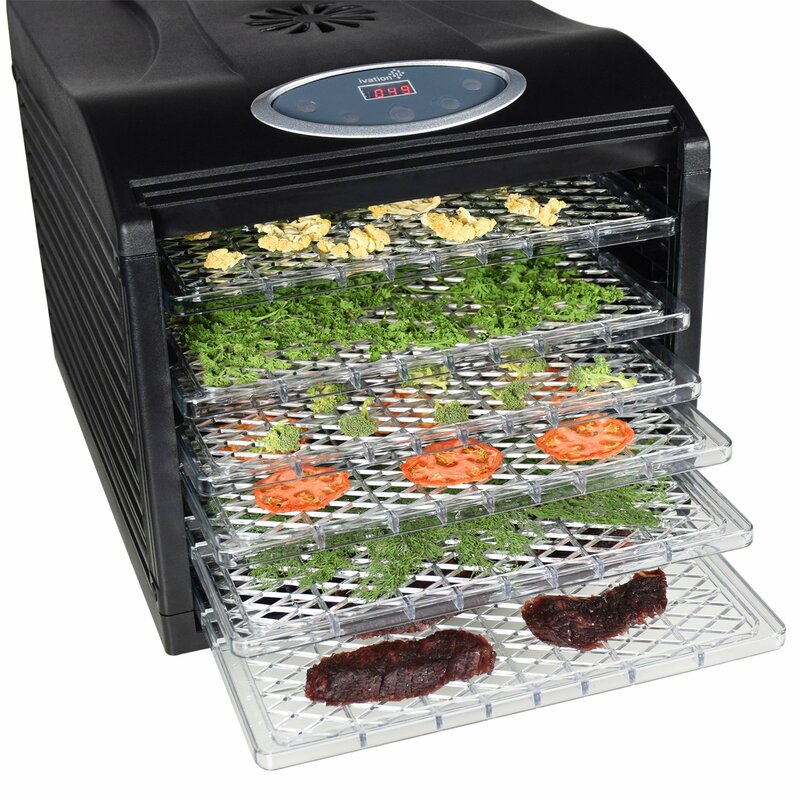 The electric countertop food dehydrator also contains six adjustable drying racks which feature a spacious surface to accommodate various foods such as herbs, vegetables, and meat. Also available with the dehydrator is one nonstick fine mesh sheet and one solid sheet for fruit roll ups. Arguably the most important feature available is the adjustable digital thermostat that allows the consumer to adjust the drying temperature from 95 to 158 Fahrenheit to ensure that the unit can dehydrate whatever the consumer might wish, while making sure the job gets done right. The attention to detail and clear direction that the company is going for stands out in this excellent piece of kitchen machinery. The Amazon reviews state that the Ivation Electric Countertop Food Dehydrator separates itself from other dehydrators just on sound alone. The fan doesn’t make a lot of noise and cannot be heard in the next room over. Compared to other industrial-sized dehydrators, this dehydrator offers a quiet drying and dehydrating process that doesn’t make it seem as if an airplane is starting up in the next room over. Other reviews state that it is a really nice change of pace to have a see-through door that allows consumers to walk in and see the process of their dehydration actually occur. Other competitor models make consumers pull out trays and observe to make sure that the dehydration process is taking effect. The Ivation Electric Countertop Food Dehydrator, on the other hand, provides the ability to see it all in one place without having to disturb the process. While there are both pros and cons to the Ivation Electric Countertop Food Dehydrator, the pros quite easily outweigh the cons. 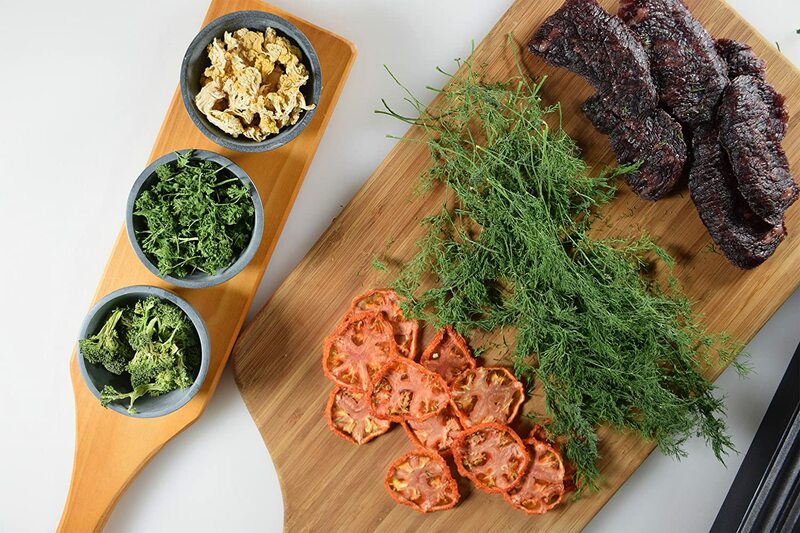 The Ivation Electric Countertop Food Dehydrator takes the traditional dehydrator technology on the marketplace and puts the power back into the hands of the consumer. With their adjustable digital thermostat and the safety control standards that other companies simply don’t have, it is clear to see how this unit is much easier to use than some of the other brands and dehydrators in the marketplace. The quiet fan that this unit boasts, along with the see through door gives consumers the opportunity to not be disturbed while dehydrating or drying, in addition to providing the opportunity to make sure that the process is effectively working. While the dehydration process takes a little longer than some of the other products that are in the marketplace, the Ivation Electric Countertop Food Dehydrator still gets the job done just as well. Other companies state that their dehydrators don’t require much effort by the consumer, the Ivation Electric Countertop Food Dehydrator makes it clear that there is no intervention needed by the consumer at all except for a few button presses to start the process.